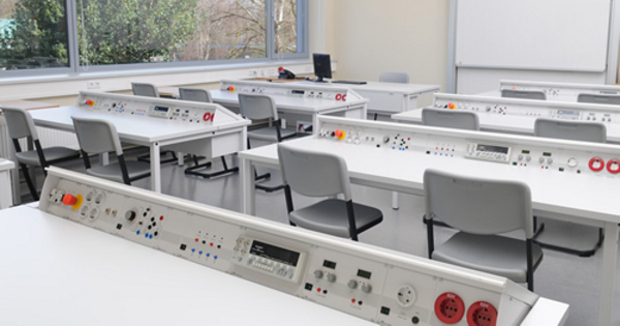 For 30 years the Lucas-Nülle company developes and manufacturers high-quality training systems for further and advanced technical and vocational education. In addition to course offerings covering a wide range of basic theoretical material, project-oriented and didactic training receives special focus. In its online catalog, you can find 3D-models of the company’s SybaLab system for laboratory infrastructure that guarantes innovative, user-oriented solutions. To download the dwg-data just register for the online catalog of Lucas-Nülle.